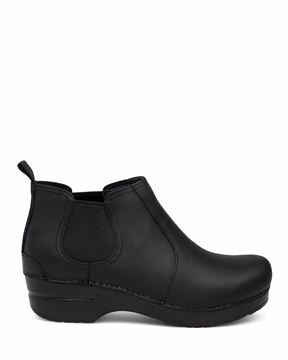 The Raina bootie features stain-protected leather uppers, a leather-covered, removable, molded EVA footbed with Dansko Natural Arch technology and memory foam for cushioning. Such a great look & extreme comfort. 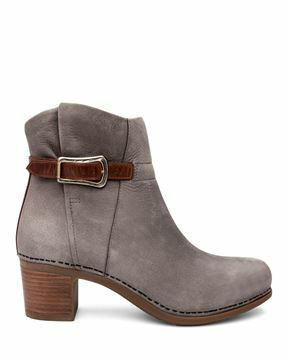 Wearing this boot with everything! Flattering, simple, effortlessly comfortable. As soon as I slipped them on my feet I was ready to walk out my front door. 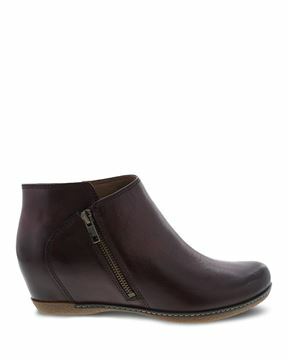 I stand on my feet all day, these boots are super comfortable and versatile. Q: What is the height of the heel? 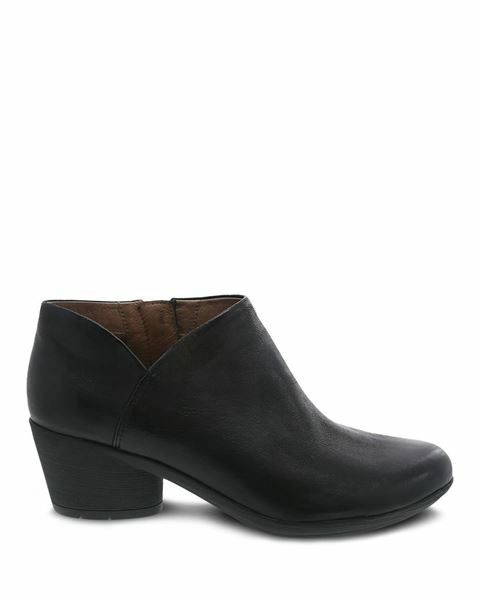 The heel height on the Raina style is 2 inches.